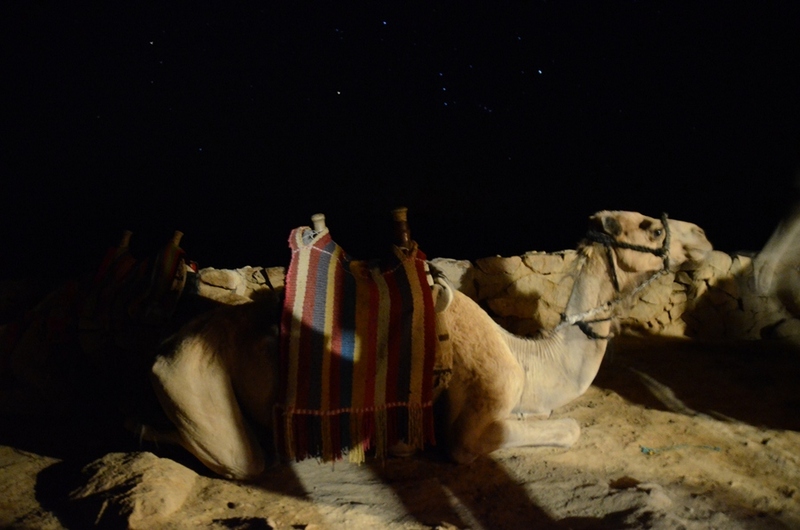 Sinai blog — A journey to the sacred land of Egypt - Living + Nomads – Travel tips, Guides, News & Information! Riding camel to the Sinai Mount. When I read about Egypt when I was young, I thought it was some remote region only written of in books. I was obsessed, and my imagination was filled by this country because of a famous story in the Bible about Egypt as told in a film named Moses – The prince of Egypt. 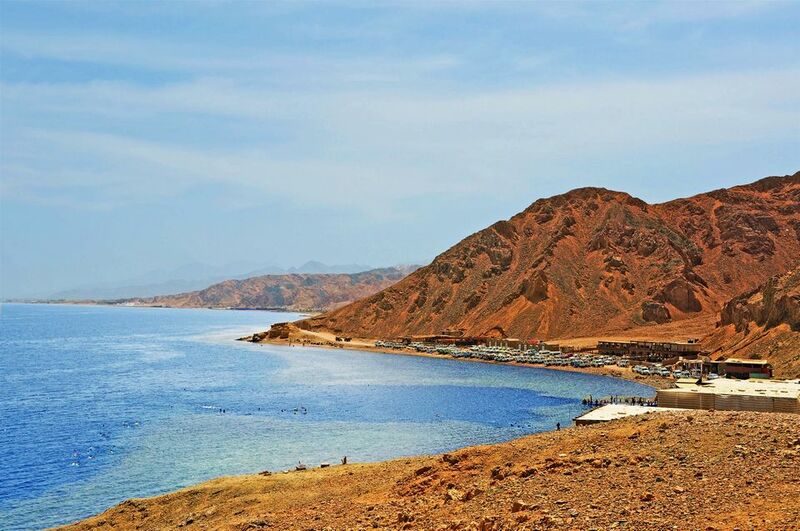 Let’s discover the mysterious peninsula through my Sinai blog. This country, the greatest ancient civilization of human beings, reveals not only pyramids and ancient untouched temples. 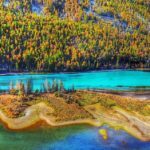 Few people know that with its area spans two continents, and it features a magical landscape in Asia. 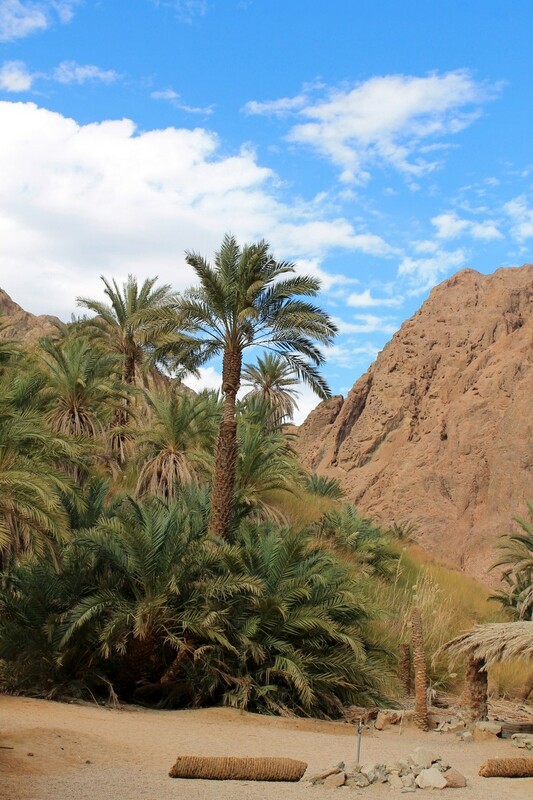 Beautiful oases in Sinai desert. 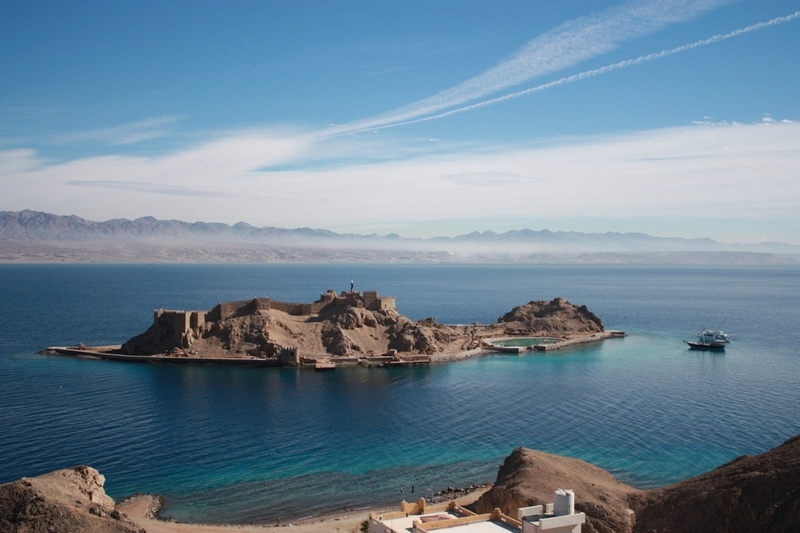 Foto: Sinai blog. 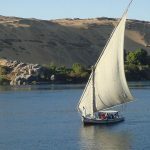 The part of Egypt in northern Africa is composed of more than 90% desert and 5% the Nile river, along which most of the population has settled. This country is famous for its Suez Canal connecting the Mediterranean Sea with the Red Sea. This canal also separates Egypt into two different regions, one in Asia and the other in Africa. The Asian part is totally located on the Sinai peninsula. Northern Sinai, Egypt. 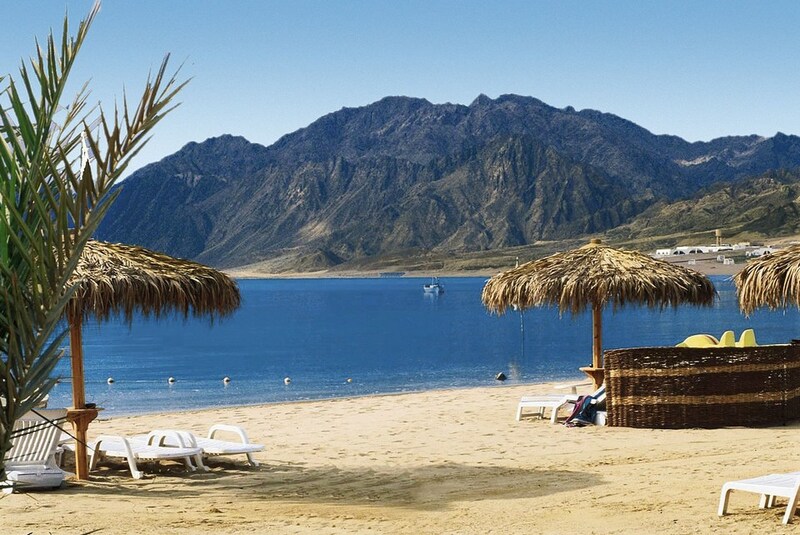 Image: Sinai travel guide blog. 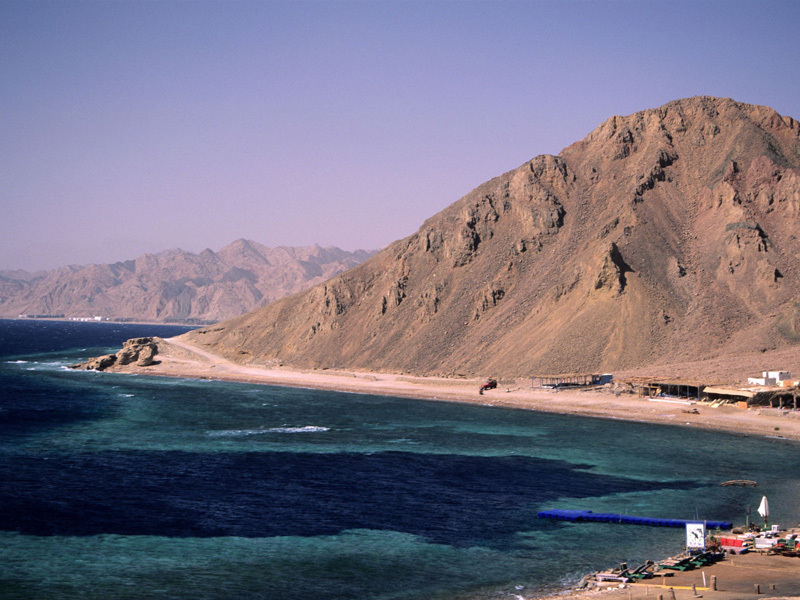 The Sinai peninsula has a strange geography divided into North Sinai and South Sinai. 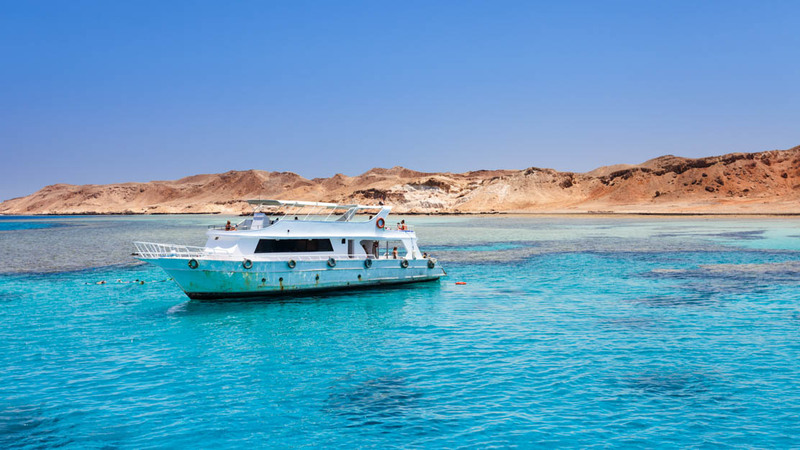 North Sinai is a mountainous and desert-filled area while South Sinai is surrounded by the Red Sea and is a well-known destination of sea lovers. I visited Egypt on a winter day and planned to go across the Suez canal to the nation’s Asian part to dive in the Red Sea and touch the sacred mountain of Sinai. 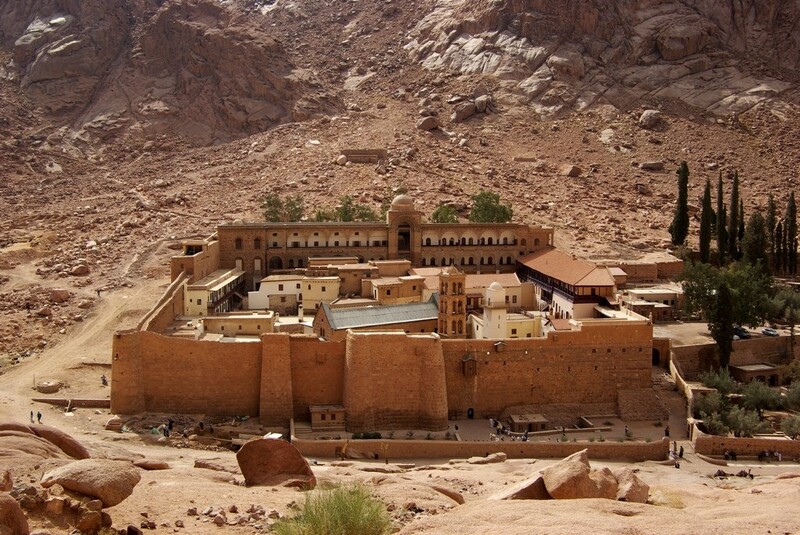 Katharinenkloster Sinai (Saint Catherine’s Monastery). 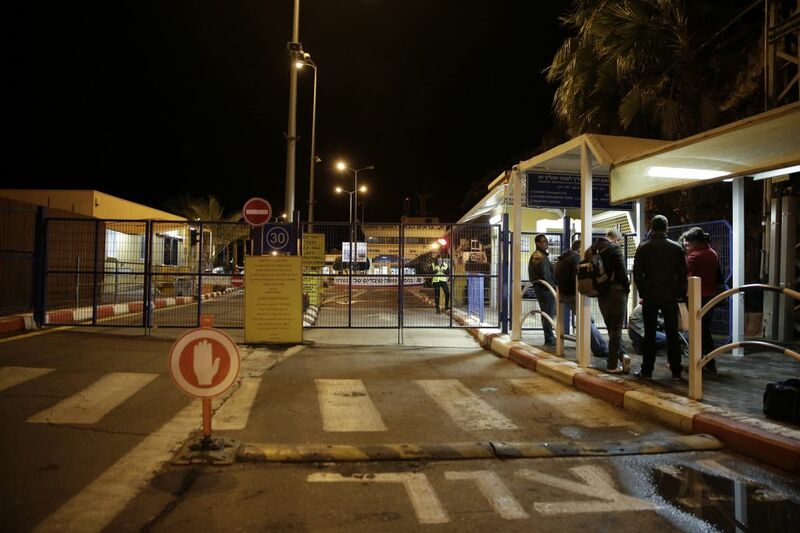 Foto: Sinai blog. There are two different ways to travel to Cairo to this peninsula, by bus and by airplane. Mohamed Gad, my new friend and a tour guide recommended I travel by airplane for my safety and to save time as I was travelling alone. However, I choose to travel by night bus because I wanted to save money while experiencing and feeling the daily life of local people. Gad took me to the bus station and showed me how to buy tickets as well as catch the bus. I was a little bit worried because all the words were written in Arabic, a language that I couldn’t understand. Gad advised me to show my ticket to local people, who would be willing to help me because Egyptian people are very calm and hospitable. Egypt is also one of the world’s safest countries for tourists. Bus to Sinai. 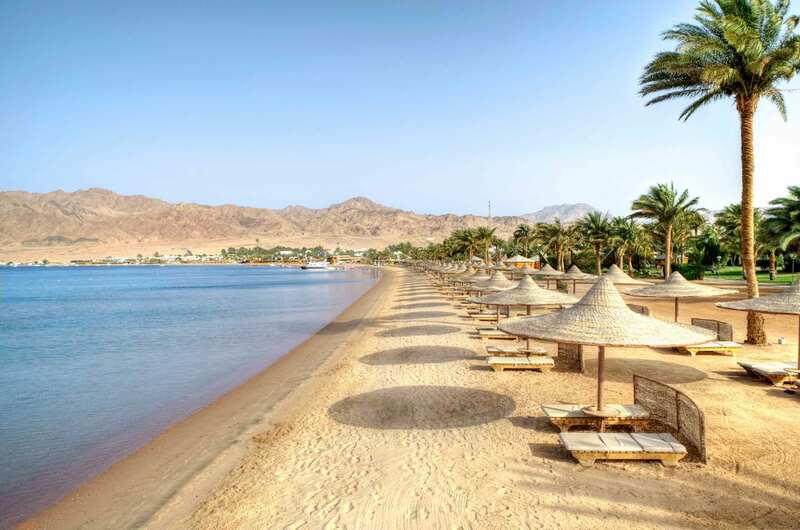 Foto: Sinai travel blog. “Safe?” I asked myself. The local men looked very big with bright eyes and moustache that I feel a little scared. At 9:00 pm, there were few people in the ticket room where only one counter out of four was open. Although the room was quite small and simple, the ticket selling system was so modern. In front of each counter, there was an LCD screen to show the seats for passengers to choose and then the seller just needs to confirm the information again before they print out the ticket. Driving through the Sinai Desert. 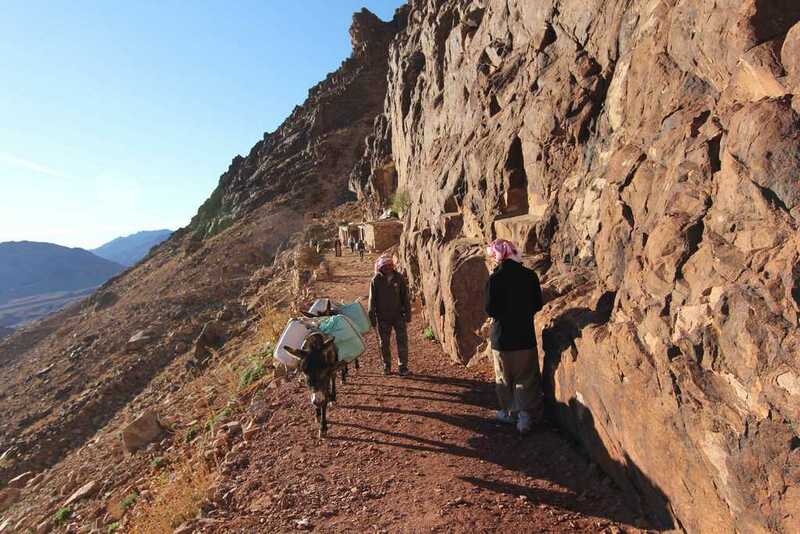 Picture: Sinai trek blog. The night bus was quite deserted. The bus was clean. It only offered chairs, not small beds as in Vietnam although it runs a long route. I left my baggage in the cabin and got in the car where there were only men. In the first 30 minutes within Cairo, the bus driver played bibles in Arabic but when we moved to the highway, he turned on Arabic films which meant I was in for a sleepless night. At mid-night, when I started to sleep, the bus stopped and people talked loudly enough to wake me. Outside, other buses also stopped and passengers get in and off helter-skelter. I was surprised when other passengers stood in a circle, open their luggage and then left it in front of them. Around them, policemen dressing in black costumes with their guns in hand went here and there. Following signals of the driver, I got off the bus and queue as other passengers with my luggage opened in front of me. Image by: Sinai peninsula blog. Policemen carefully checked every piece of luggage. 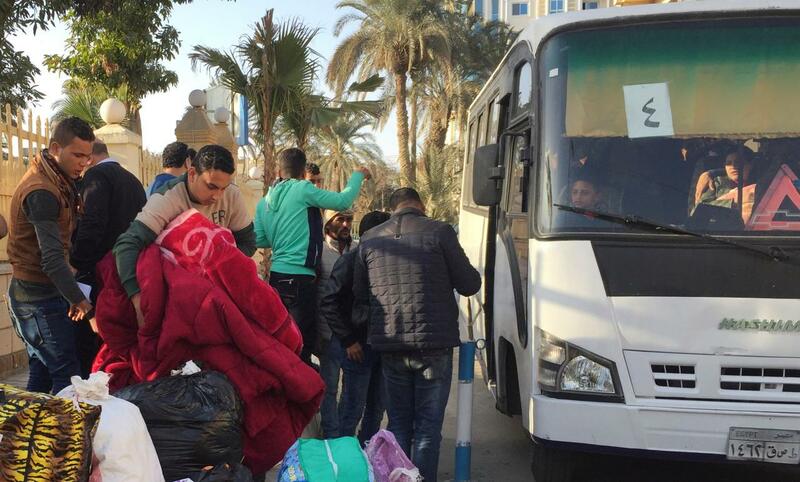 I realized that they were checking for security because our bus was going to cross the Suez canal to Asia. We had to stop every 30 minutes after that for inspections, but these times we did not have to get off the bus and show them our luggage. We arrived at Sharm El Sheikh station at roughly 7a.m, after nearly 9 hours on a route of more than 700km. 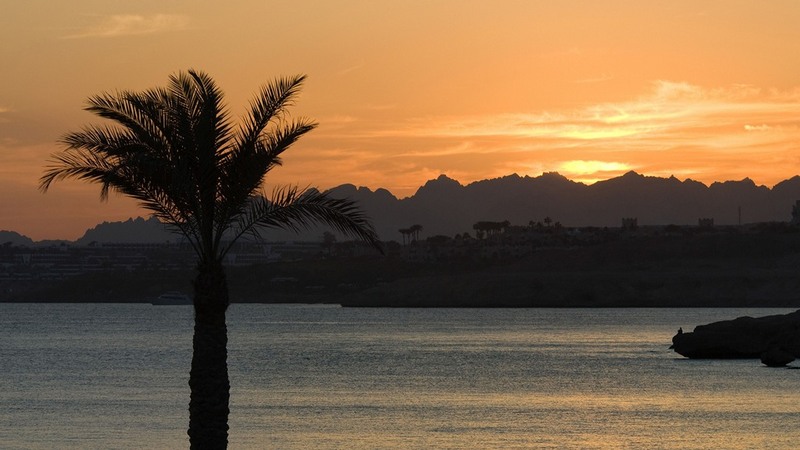 Sinai peninsula is a militarized area of Egypt. This area borders with Israel and is separated from Saudi Arabia by the narrow gulf of Aqada. With its geography in a sensitive location, especially after the Six-day War in 1967 by Israel and the neighboring states of Egypt (known at the time as the United Arab Republic), this peninsula is carefully regulated by Egyptian military. 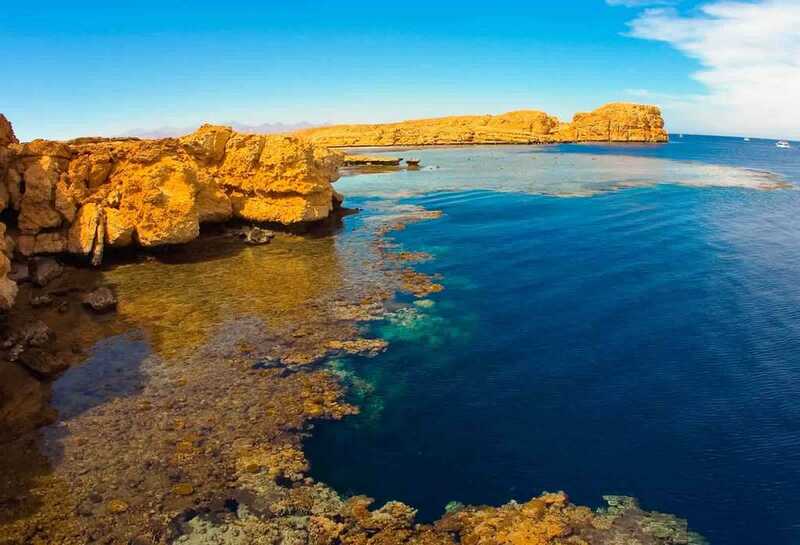 Although the island is a sensitive military area, Sinai is only second to Cairo in the number of tourists thanks to its beautiful landscape and the government’s effort in encouraging local tourism. 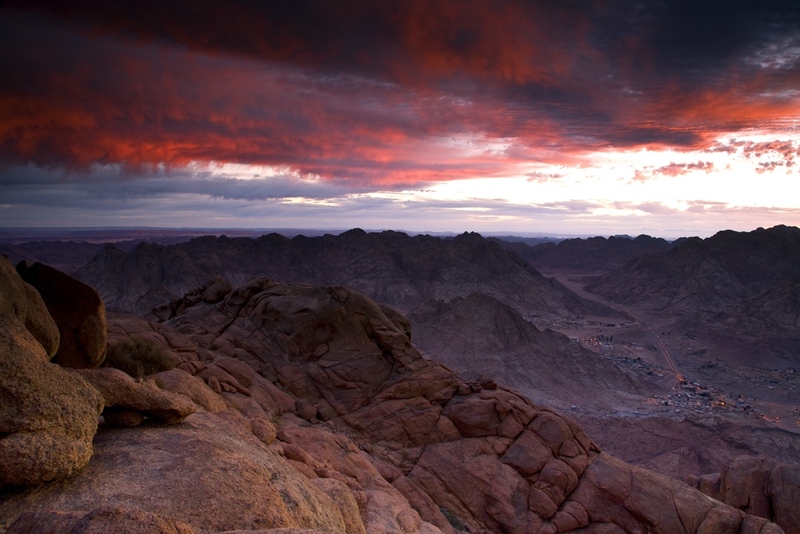 Sinai is proud of two “natural treasures”, which are Ras Mohamed National Park and Sinai Biblical Mount that have been attracting a large number of tourists. 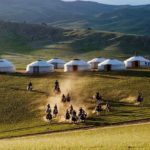 You will easily see many magnificent 4-6 star hotels and resorts along the beach in the south of this peninsula and few houses of local people. 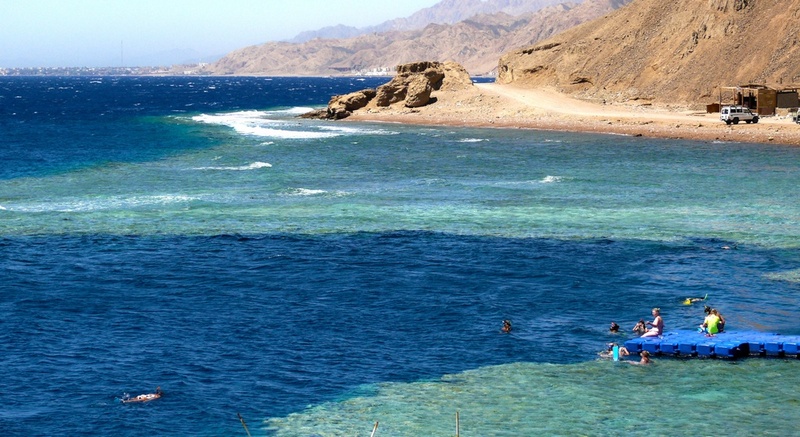 Residents on the island mainly gather at Na’ama Bay in Dahab, hundreds of kilometers from Sharm El Sheikh. 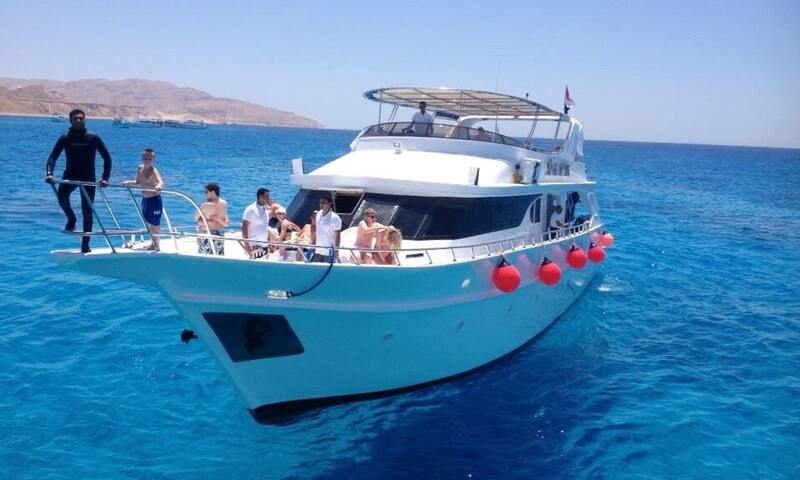 Dahab is the second choice for sea activities after Sharm El Sheikh. 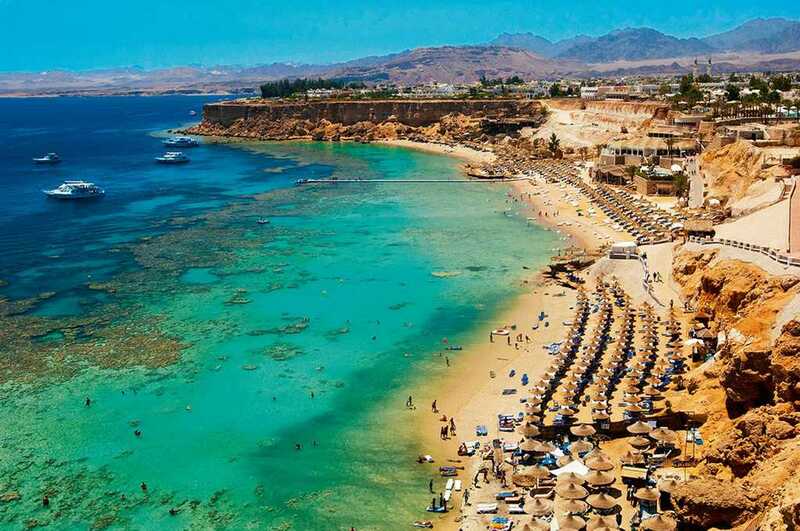 Sharm El Sheikh Beach. Image by: Sinai peninsula blog. “Because the whole peninsula has a population of nearly 600,000 people, most labors come from other regions. Since Islam is the national religion, men often take part in most of works while women spend their time at home”, shared Gad when I ask him why there were only men on the bus on my last journey. I put my luggage in the hotel and drank a glass of hot coffee before getting in the car that Gad booked for me to the wharf for diving. 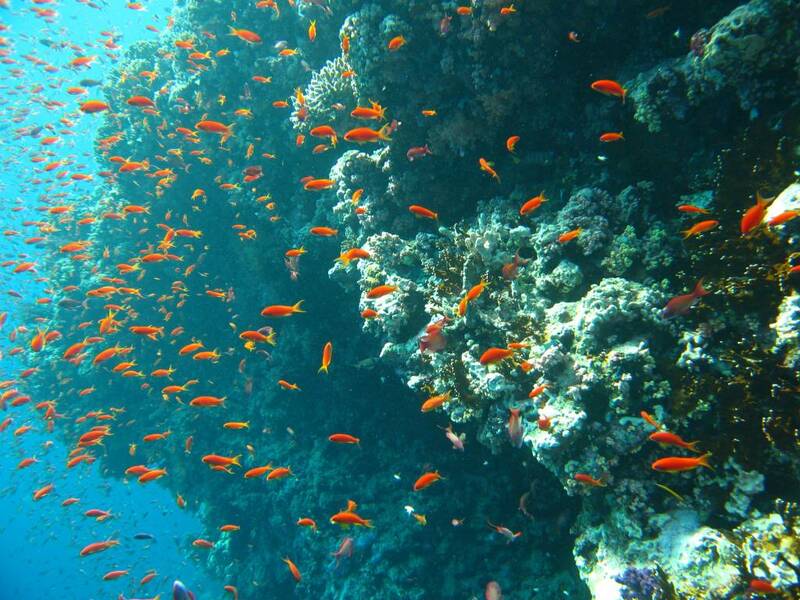 Sharm El Sheikh provided many diving locations, in which Shark Reef in Ras Mohamed is the most favorite. This place is famous for barracuda fish and, if you lucky, you will have a chance to see reef shark. Sharks Reef, Ras Mohammed. 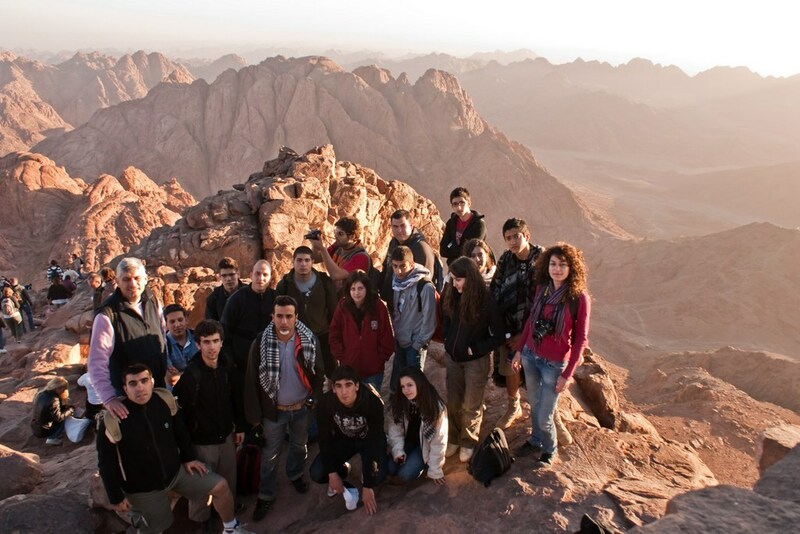 Foto: Sinai blog. The high speed ferry service here is quite modern with spacious and clean ferries, featuring changing and bath rooms. There was also a living room and small food counter. The sundeck was used for relaxation and viewing the sea. 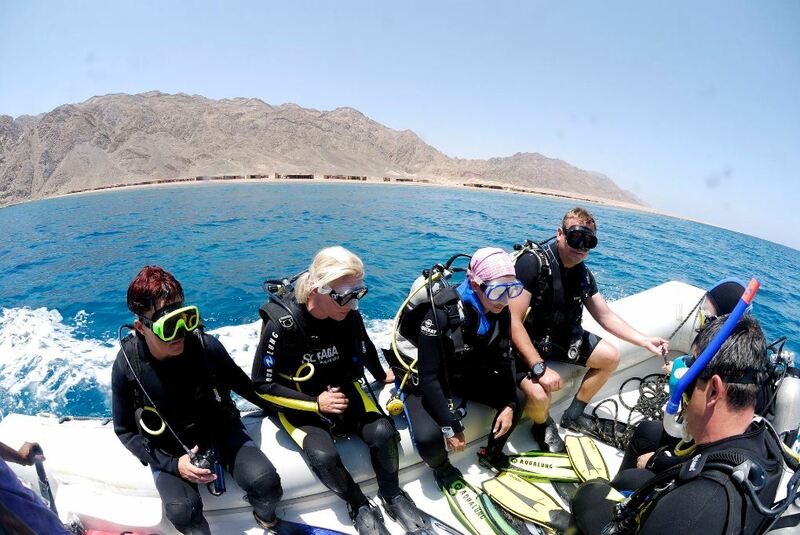 Diving in Sinai. 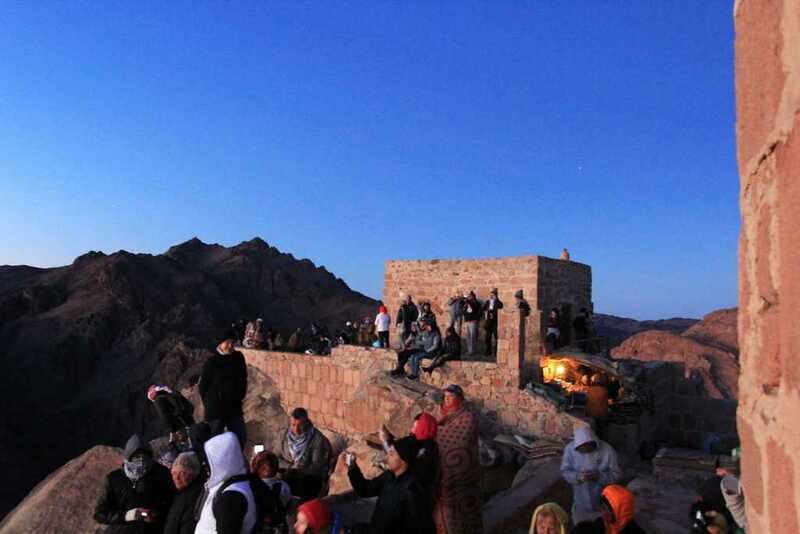 Image: Sinai travel guide blog. 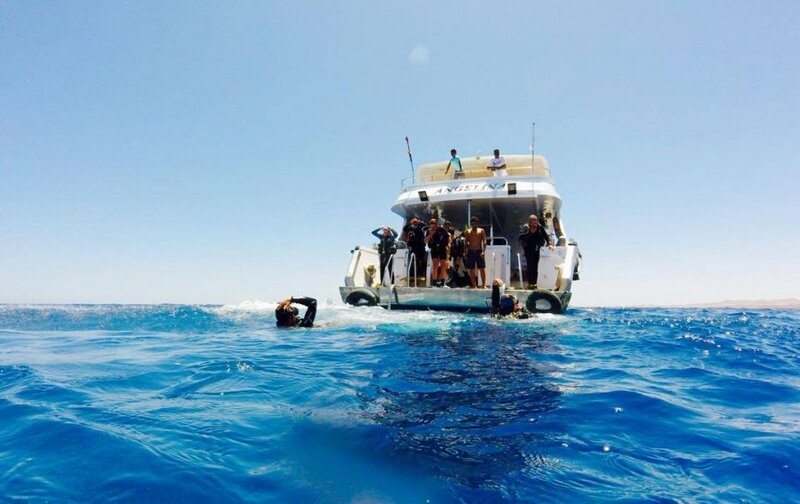 Boat diving, Sharm el sheikh, Red Sea!! Mahmoud, who guided us on the dive, recommended I dive in Tiran island, the second most popular diving place in this peninsula. Or one can go snorkeling in Blue Hole, Aqada Bay. 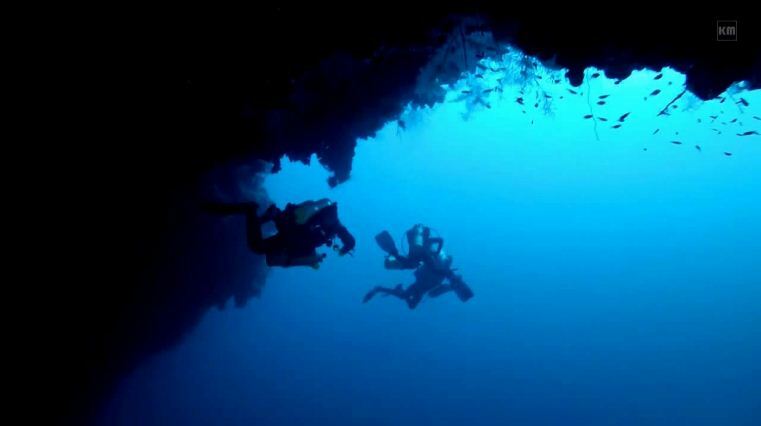 However, because Blue Hole is a large marine cavern divers are required to have diving experience and skills before registering for the diving tour. 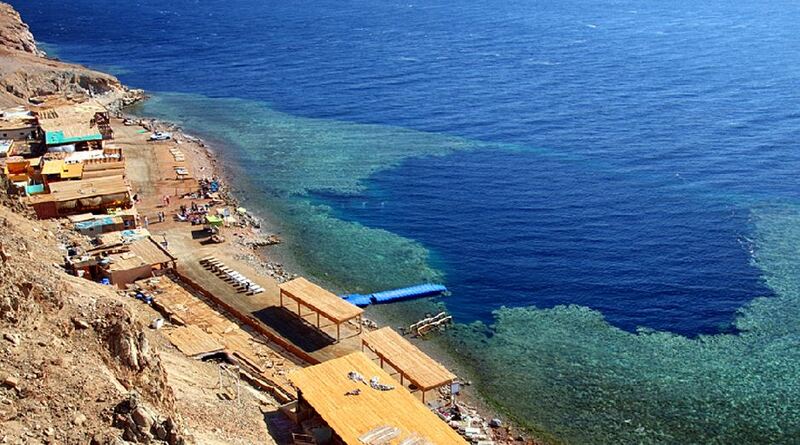 Blue Hole, Dahab, Sinai. Foto: Sinai blog. 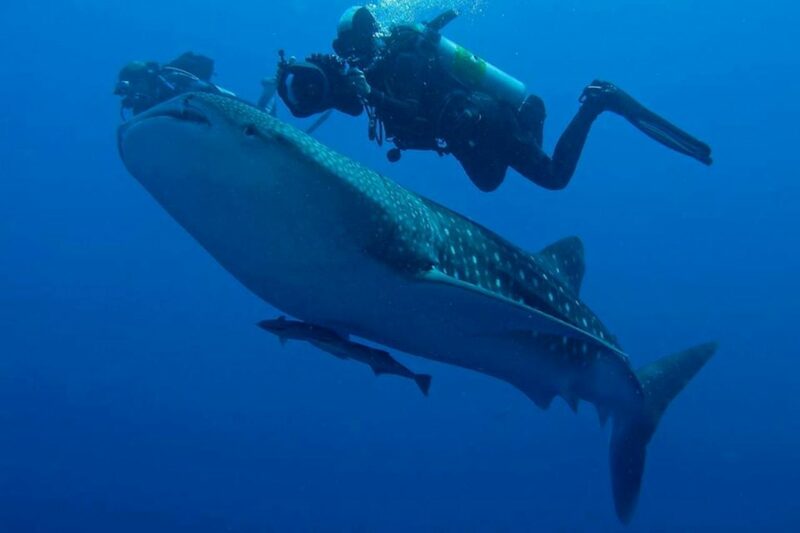 Each diving place offers guests remarkable beauty with sights of different coral reefs and sea creatures. This is also the reason why famous magazines voted these destinations among the most beautiful diving places of the world. After a day diving in the sea with various emotions in the scenery that was like a wonderland, I spend the whole afternoon to witness the sunset at the cape of Ras Mohamed national park. 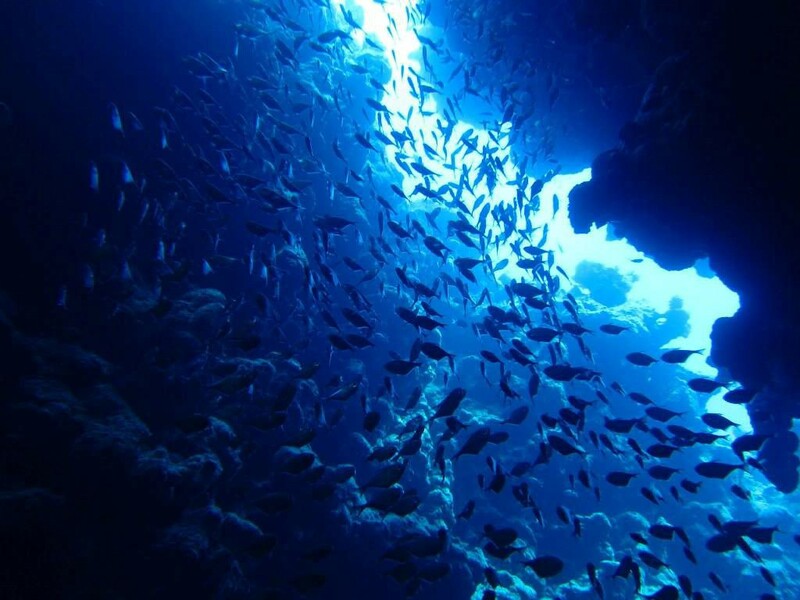 The cape was a small landscape spreading to the sea with some geological cracks where visitors could view small fish and coral reefs deep in the clear sea water. I looked far away from the shore. In the sunset on the Red Sea, the water was remarkable, a light and dark blue soft as a scarf on a beautiful lady’s neck. Sunset at the cape of Ras Mohamed national park. 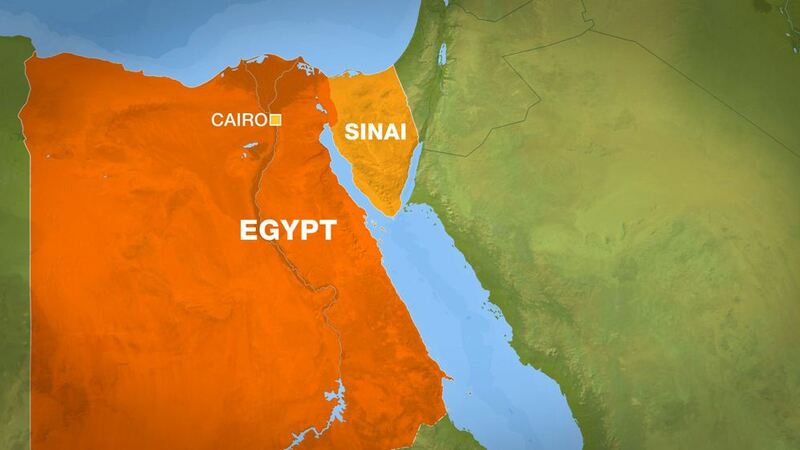 Foto: Sinai blog. “Today God loves his people and calls them to Sion mount” (Sion is Sinai today. This name was written in the Old Testament. 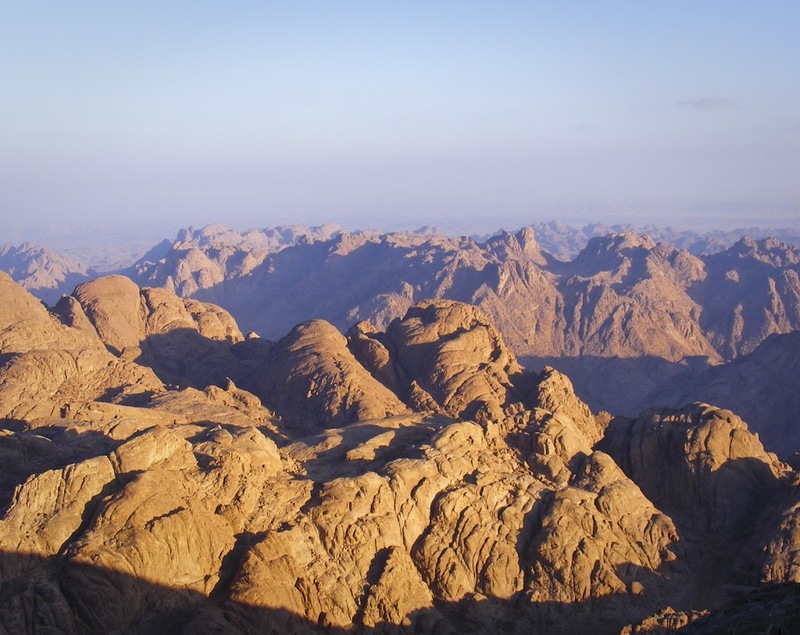 Sinai is also called Moses mountain by Egyptians). That’s a script written in a famous hymn of 1950s that any Catholic person might have heard before. Written in the hymn for Exodus about Moses, a foreteller of the Old Testament who took 70 people to this sacred mountain to receive Sinai Obligation, which included the Ten Commandments. 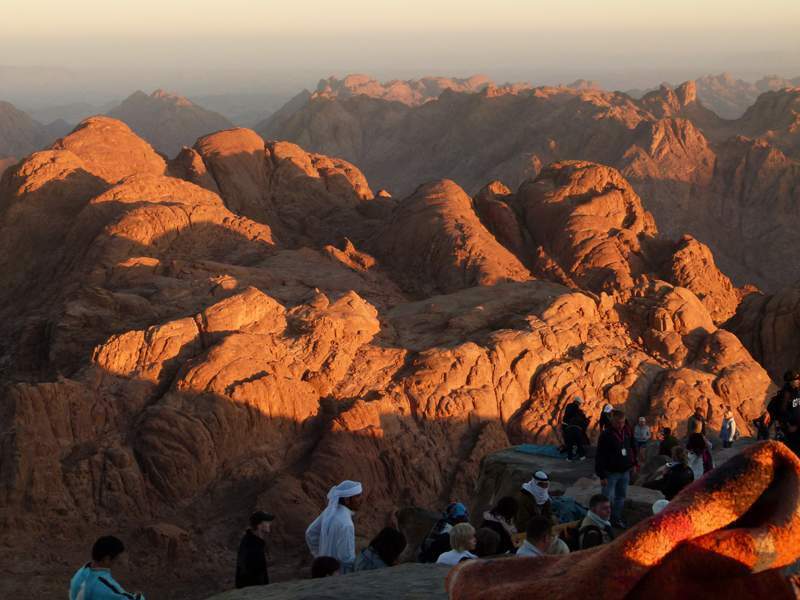 To see the sunrise on Sinai mountain, visitors will have to depart from 11:00 pm from Sharm El Sheikh or Dahab, where it takes about three hours to travel to the gathering place at the foot of the mountain. I joined a group of tourists and we were introduced to a local tour guide named Mohamed, who would take us to climb up the mountain. After some greetings and introduction about himself, Mohamed shared with us some information about the trekking path, which was a rugged but safe and easy trail. Riding Camel to Mount Sinai. 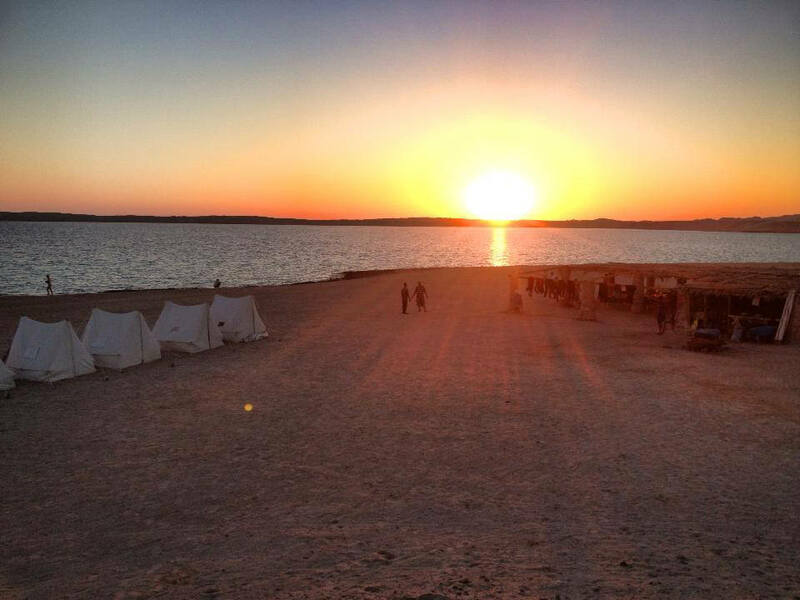 Picture: Sinai blog. There was only the light from flashlights of pilgrims in the dark sky as we started. Mohamed leads the team and sometimes doubled-back to check on us. We stopped every 15-20 minutes to take a rest and then continued our journey up the mountain. After an hour, we reached the first leg, where there was a wooden house with chairs leaning on the walls for visitors. The host also served tea, coffee and cake. An Italian couple in our group decided to stop here because they are not able to climb up and do not want to delay the team. For them, setting their feet to the mountain was enough. At the second leg, when Mohamed and I become closer, he asked me whether I wanted to ride a camel lying in front of us. It was an animal of the host here. Mohamed would negotiate to rent it at a cheap price. Of course, we could only ride the camel to the third leg and then go on foot up the more than 600 stone stairs to the peak. I agree was him because I was so tired and also wanted to experience riding a camel to the peak. It was really a memorable experience to ride a camel up the mountain. At first, I feel scared because the path was very dark with a mountain cliff on one side and an abyss on the other side. As well it was sometimes slippery. I can’t predict the consequences if the camel walks on any slippery rock. “Don’t worry. 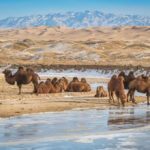 Camels have a very good memory. It remembers the way up clearly. Its eyes can see in the darkness. There’s never been any accident happening before”, encouraged Mohamed. I have no choice but to believe his words. I got used to sitting on the camel very soon and started to look up the mountain. The sky was bright with numerous stars. It was quiet and spread out to the universe which brought me a safe feeling.. Morning at Mount Sinai peak. 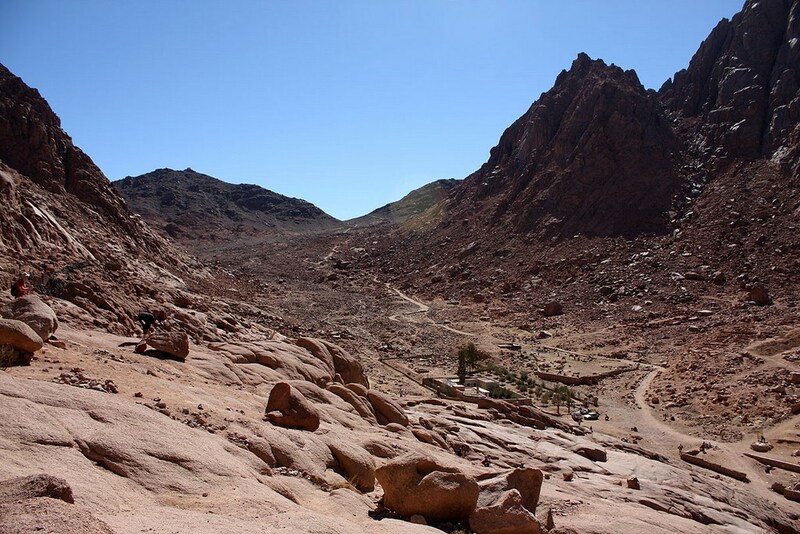 Foto: Sinai blog. Morning at Mount Sinai peak. We were the first group to reach the peak. 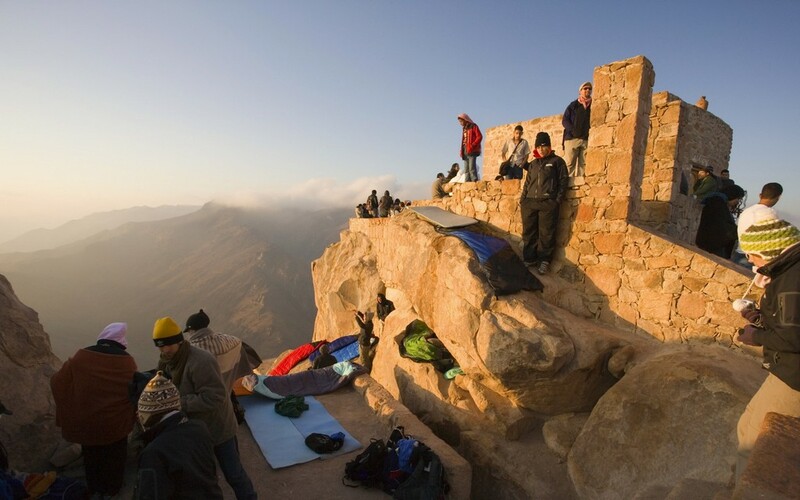 Mohamed encouraged us to find a good place on the peak to view the sunrise. He chose a place by the flat rocky platform by the mountain with a large view. We all sat by the cliff to wait for the sun rising. Time passed by slowly. It was 6 o’clock in the morning and a pink road appeared at the horizon and then become bigger and bigger until it turned to a light orange red color. In the middle of that road, the sun rose like an enormous fire ball seeming so close we could almost touch it. All of a sudden, it was as if the whole area of hills and mountains took off its black coat and put on a new pink shirt that surprises every visitor. 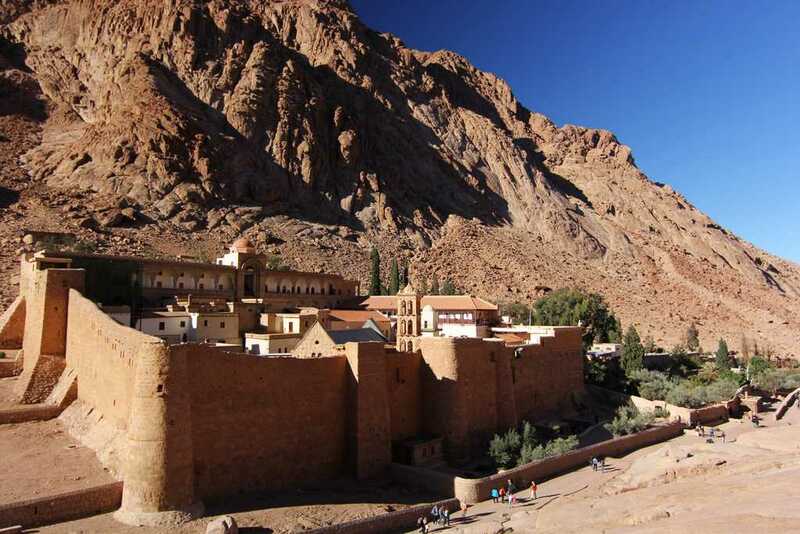 On the way down, tourists could visit a UNESCO cultural heritage site, located at the foot of the mountain: Saint Catherine’s monastery. This was one of the oldest monasteries in the world featuring a chapel with thousands of precious antiquities, and an old well, where the profit Moses met his wife. In particular, you can see the bramble tree, where God appeared in the image of a fire pillar to call Moses to lead the Jewish people cross the Red Sea to the promising land, modern day Israel and Palestine today. Even after I finished my journey, I still didn’t believe that I stepped onto the sacred landscape of Sinai. I understood that, in some ways, this planet always opens doors for those, who are dreaming of visiting secret lands. Sinai Mountain or Moses Mountain. Foto: Sinai blog. + Visa: You can prepare the necessary visa documents and apply for a visa at the Egyptian embassy in Hanoi. It’s easier to apply for a visa to Egypt than other developing countries. It will cost you about $25 for single entry and $35 for a multiple entry visa. 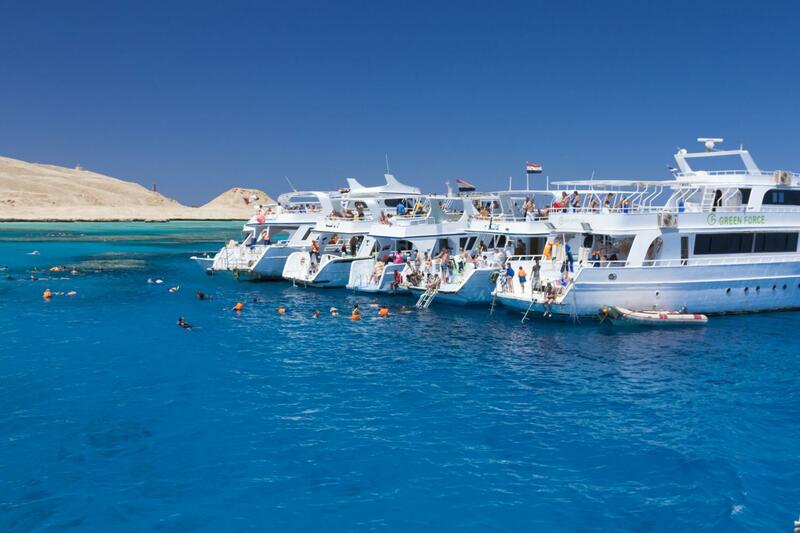 If you book a tour through an Egyptian tourist agency or travel in a group of 10, you can apply for a visa on arrival at $65/visa/single entry for 30 days. 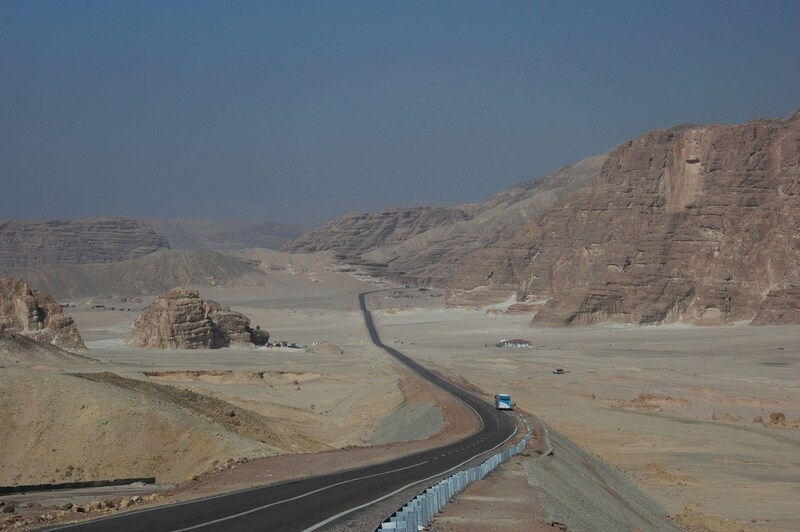 + Transportation: How to get to Sinai from Cairo? The bus ticket from Cairo to Sharm El Sheikh is quite cheap at $5-$10. You can also take a domestic flight offered by Nile Air or Egypt Air during the day at $120-$200/ticket which lasts an hour. Taxi is the most convenient vehicle if you travel within the city. It’s easy to book a taxi even in the evening. With some taxi carriers, you should negotiate the price before you go. + Accommodation: There is a wide range of hotels and resorts at reasonable prices. Three to four star hotels are priced at $25-$40/night/double room. Resorts on the beach are priced from $60/room/night. You are advised to book a room that is suitable for your budget one week before your departure. Remember to check the location of your hotel/resort on the map because some are situated far from the city center. You can find, check rates, availability & booking for The South Sinai hotel on Booking.com or Agoda.com. 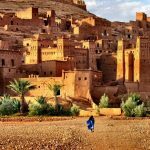 + Best time to visit and travel: You can visit this destination all year round, but beware that from June to August it is very hot. The best time to visit is from October to February, when the weather is cool and pleasant. Although the temperature can be at 20 degree Celcius, the sea water is always warm at 25-27 degree Celcius. 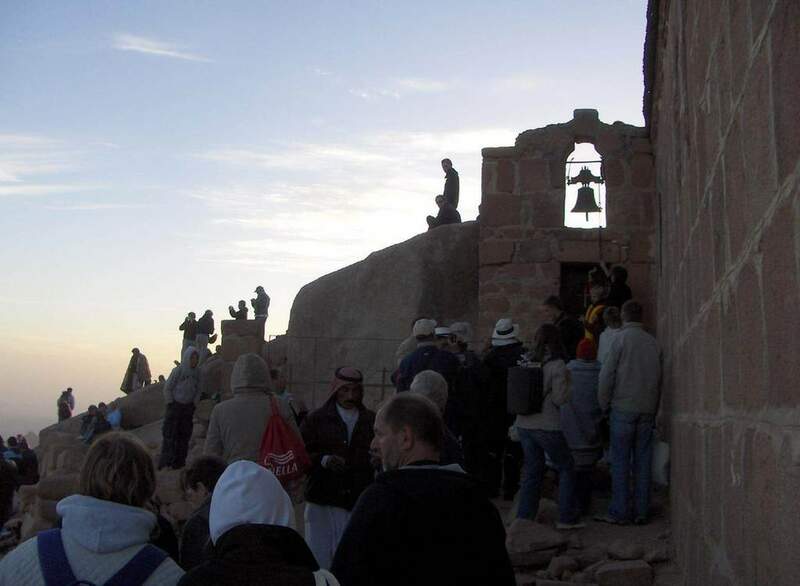 + Trekking by camel on Sinai sacred mount: You can ride a camel to climb up the mountain in nearly 3 hours, from the foot of the mountain to the third leg before you walk up the 600 stone stairs to the peak to view the sunrise. Service charge: $10/person. + Experience a glass bottom boat for a day: $50/person. 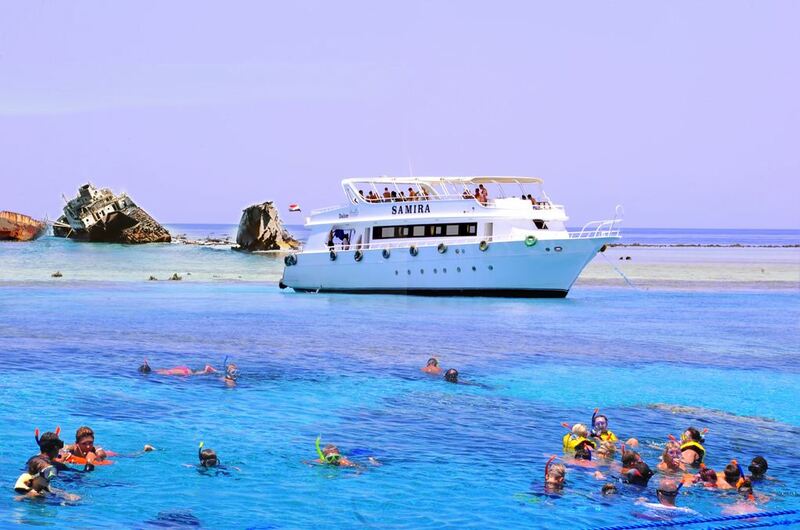 You can take a glass bottom boat and use it at your conveniences while viewing the coral reefs in the sea in a day. 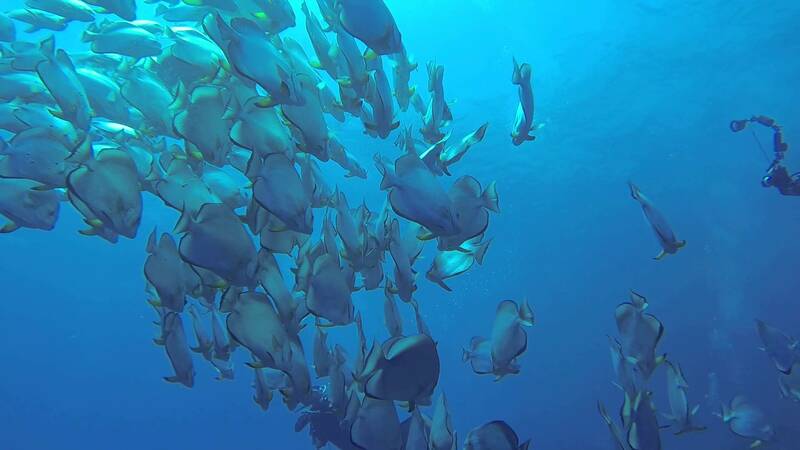 + Snorkeling: You will be picked up at the hotel at 8a.m and be taken to the wharf and brought back at 5p.m. The boat will take you around the sea during the day. It will stop at 3 different diving places, an hour each. Visitors will have to pay $50/person, including equipment, lunch and non-alcoholic drinks. 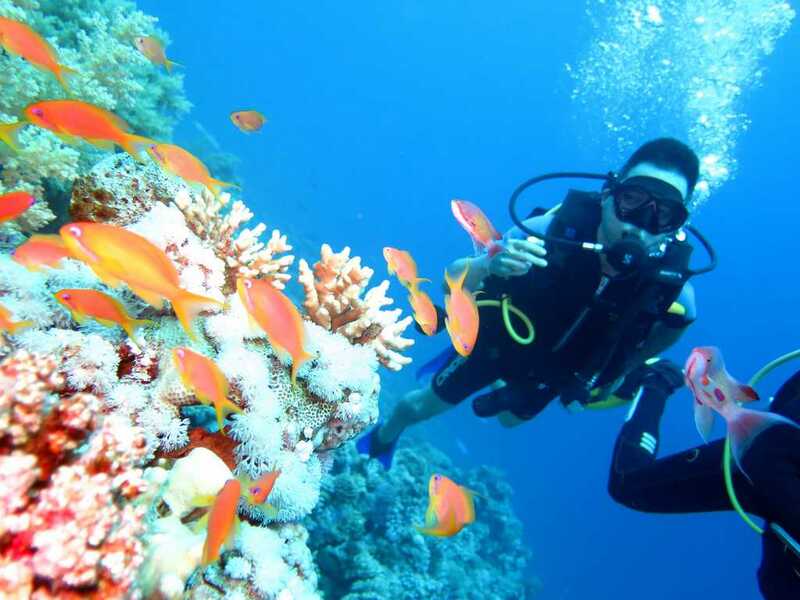 + Scuba diving for guests owning PADI certificate: Visitors are offered the same services as snorkeling at diving places. Price: $15/turn. Sinai boat tour. Foto: Sinai blog. + Special service: renting a boat to take wedding photos for a day. This service is quite attractive because of its luxurious standards, programs and extraordinary services, including a boat that can hold up to 20 people. 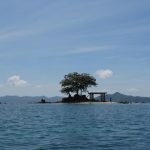 It will take the bride and groom to one of beautiful islands for photo shoot. If you want to own an original wedding album under water, you will have to pay an extra amount of $20 for a collection and DVD. It costs about $65 for renting a boat, diving equipment, lunch and non-alcoholic drinks. A return ticket is priced at $700 (offered by Etihad airlines with a stopover at Abu Dabi). The budget for a 10 day 9 night trip in Egypt is around $890, including experiences on the white and black deserts (camping in 2 days and one night), five-star cruise between Cairo and Aswan (5 days and 4 nights on the Nile river), five-start train tickets between Luxor and Cairo and main sights (Iris temple, Abu Simbel temple, Edfu, Hatshepsut, pyramids and Cairo museum). 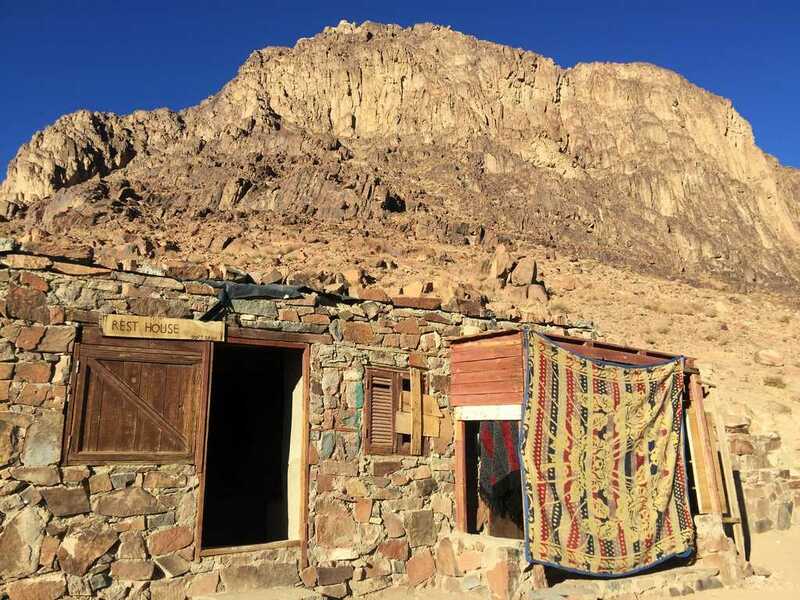 The budget for three days two nights on the Sinai peninsula is about $240, including a trekking tour to Sinai mount, Catherine monastery, snorkeling for a day, local transportation, food and beverage. Used to be a successful manager in various companies and multi national corporations; however,his passion of traveling and writing pulled him out of the safe zone to indulge in international destinations. 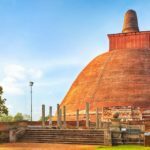 With his motto of “traveling to touch destinations and coming back with positive changes”, his articles and photos manifest the real beauty of paths, cultural marks, local architecture, people and life of locations that he passed by. 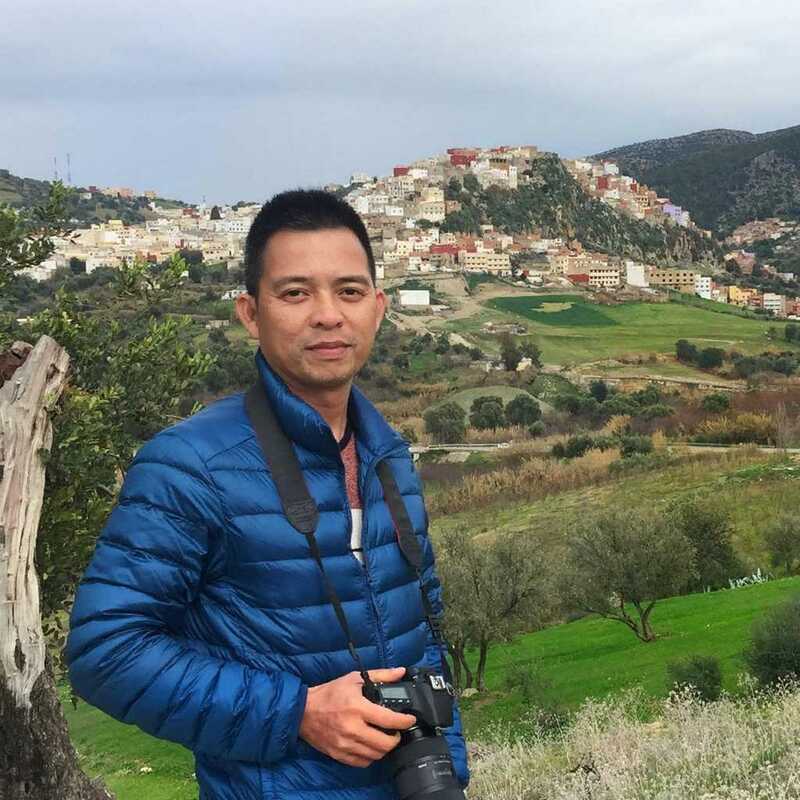 Thanh Cao is a popular contributor of many travel newspapers and magazines. He is also the co-founder of OffTrack Travel Company. nice and very good information, tks for your nice blog.